We’re into the depths of summer, and many people are on holiday. 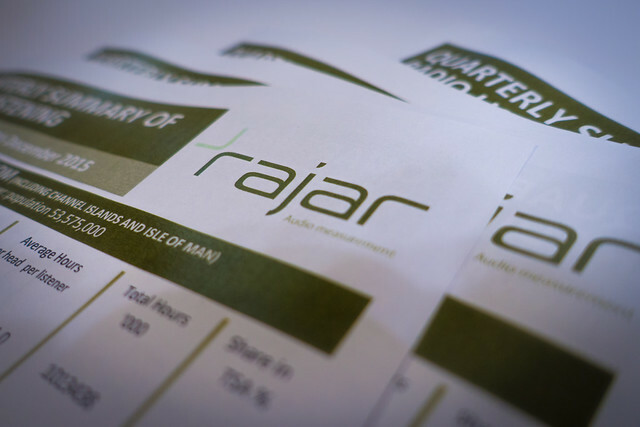 But there’s still a new set of RAJAR results to look at. Earlier this week a new Advertising Association/WARC report said that radio was the fastest growing medium, with growth of 12.5%. Commercially, radio is in a good place, but how about audiences? Overall radio listening has fallen a small amount this quarter, down 0.7% on the quarter in reach, and down 0.8% on the year. Reach is down to 89% from 90% for the last few quarters. Of bigger concern (see all previous RAJAR pieces I’ve written), is the drop in hours. They’re down 0.9% on the quarter and down 1.7% on the year to 1.015bn hours a week (the lowest since the start of 2016). Average hours per radio listener remains constant at 20.8 hours a week, although that remains a record low. The BBC’s reach has fallen slightly to 34.47m (down 1.5% on the quarter and down 1.4% on the year), with Commercial Radio also falling a little to 35.51m listeners (down 1.3% on the quarter and down 1.0% on the year). Commercial Radio reach remains higher than the BBC’s reach as it has done for the past few quarters. In terms of listening hours, the BBC remains bigger with 51.7% of radio listening compared with Commercial Radio’s 45.7%. For the BBC, listening hours have fallen – down 1.2% on the quarter and 2.7% on the year. Commercial Radio has grown a little however, up 0.9% in hours on quarter, although down a fractional 0.1% on the year. A reminder that the missing bit in the middle to get to 100% includes stations not measured directly by RAJAR including some internet radio stations, smaller local stations and community stations. Digital listening was the big thing last time around, with the 50% mark broken reaching 50.9%. This quarter it has slipped back a little to 50.2%, but the numbers can bounce around a little so I’m not too concerned about that. It’s always the longer term trends that really show what’s happening, and they’re upwards. This hasn’t been a great quarter for Radio 1, which has fallen 2.4% in reach on the quarter, and is down 3.7% on the year. It now reaches 9.236m listeners a week (15+), the second lowest its reach has ever been. Listening hours are a slightly different story however, with hours up 4.6% on the quarter, although down 7.3% on the year. In his last full quarter on Breakfast at Radio 1, Nick Grimshaw is up 3.8% in reach to 5.3m, although down 3.8% on this time last year. Meanwhile Drive was down slightly (measured on 4pm – 7pm inclusive), reaching 4.05m this quarter – down 4.3% on last quarter and down 3.2% on last year. It’ll take a while for the new shows to settle, and indeed it won’t be until the Q4 results are in that we’ll even be able to see how the new presenters are doing. Over on Radio 2, reach has fallen a bit this quarter, down 3.1% to 14.93m listeners (But up 0.3% on the year). Hours are more positive, up 0.6% on the quarter and up 4.3% on the year to 181.48m a week. The big news on Radio 2 is the new Drive show, with Simon Mayo now joined by Jo Whiley. As is the way of these things, there were a few negative stories surrounding the change – even though this was obviously a way for Radio 2 to get at least one woman into the peak daytime schedule. I would just point out that the more popular a show is, the more reaction there is from listeners when there are changes. And that it of course takes time for a new show to bed down. The new show only began midway through the RAJAR quarter, with roughly half the figures reflecting Mayo’s solo show. The other key thing is that Mayo’s previous show was for two hours – 5.00pm – 7.00pm daily. The new show runs three hours – 5.00pm to 8.00pm daily, except Fridays when it is two hours. I’ve used the new hours of the show for a point of comparison, even though that would have included specialist music shows in the 7pm hour previously. Reach for the show is up on last quarter, with 6.31m listeners compared with an equivalent timeslot of 6.23m last quarter. That’s up 1.3% in reach on the quarter, but down 0.6% on the year. Radio 3 is down 1.3% in reach on the quarter, and down 7.5% on the year. In terms of hours it’s down 3.3% on the quarter, and down 9.1% on the year. Radio 4 has seen some falls this quarter, down 2.9% in reach on the quarter (and down 8.3% on the year), while hours are down 3.2% on the quarter (and 6.2%) on the year. That’s the lowest reach since Q2 2015, although in overall terms the Radio 4 audience is relatively consistent over the longer period. The Today programme has seen a certain amount of attention shone on it in some circles recently. There was a long piece in The Observer a few weeks ago by Miranda Sawyer which took clear aim at the programme. And in these politically charged times, different presenters cause different reactions to different parts of the audience. To be clear, I don’t believe in using your own social media network to determine the relative success or failure of a particular programme. But looking at listening figures can be useful. Considering the Monday-Friday edition of the programme, running 6am-9am, the reach is down 3.6% to 6.82m a week. Year on year, this is down 11.0%. On the other hand, this time last year was the Today programme’s biggest ever audience. As recently as Q1 2016, the Today audience was lower than it is today. It might be useful to include a chart here to show, that in fact, Today is a pretty consistent performer. I’d also point out that only Chris Evans has a higher audience in either radio or television at that time of day. This quarter included the end of a not especially competitive Premier League season and about ten days of what would prove to be a very lively World Cup. However neither were enough to stop Five Live’s reach falling 8.0% to 4.73m (and down 11.0% on the year). Hours were down 1.7% on the quarter and down 10.6% on the year. By way of comparison, Talksport was also down, falling 7.2% in reach on the quarter, and down 3.2% on the year. However it was up last year, climbing 10.4% on the quarter and up 31.8% on the year. It should be said that last year’s Q2 Talksport figures were pretty poor, and quite likely “rogue” as I said at the time. The main question each quarter with 6 Music is whether it has broken any records this time around? Reach has dipped a little, down 3.4% on the quarter to 2.44m. But it’s still up 9.4% on the year. But hours are a new record, up 0.5% on the quarter to 24.28m (and up 25.3% on the year). BBC World Service English is up 5.7% on the quarter, but down 5.0% on the year to a consistent 1.51m reach. Hours are down a little however – down 2.8% on the quarter and down 22.6% on the year (although last year’s hours were exceptionally high). Classic FM’s reach is a little disappointing – down 7.6% on the quarter and down 10.9% on the year to 5.15m. That’s the lowest reach since Q1 2016, and the second lowest reach the station’s had in all time. I’ve already mentioned Talksport, but stablemate Talksport 2 is still struggling, with reach down 13.1% on the quarter and down 18.8% on the year, to 273,000. Hours were down 40.0% on the quarter and down 31.4% on the year to 681,000. LBC has been riding high for the last few quarters, but this quarter has seen a small dip. Reach was down 2.8% on the quarter to 2.1m, but that’s still up 3.0% on the year. Hours were down 0.7% on the quarter and down 6.1% on the year. 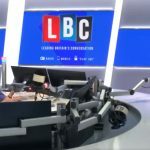 The big question with LBC is where they’re planning to put their major new signing Eddie Mair, who is leaving the BBC and the PM programme on Radio 4, that he has made his own. You imagine that he’s going to get quite a big slot somewhere on the station. Nick Ferrari has been in the breakfast slot on LBC since the start of 2004 – a run over more than 14 years now. With 1.13m listeners, he’s a solid performer, up very slightly on both the quarter and the year. But how much longer does he want to go on in that slot? You certainly feel that LBC is likely to reshuffle the deck a little. In Christian O’Connell’s final RAJAR quarter, Absolute Radio saw an increase in reach of 5.0% to 2.54m. Year on year, the increase was a very healthy 20.9%. Hours were down 6.0% on the quarter, but up 1.8% on the year. O’Connell’s final show was at the midway point of the RAJAR quarter, but his final set of numbers showed a 6.1% increase in reach to 2.15m. That’s also up 16.6% on the year. Note that O’Connell’s show was carried across the entire Absolute Radio Network, and those figures are calculated on 6 month basis. Of course Dave Berry also has a claim on some of those figures, and Bauer can position his show as the biggest breakfast show on commercial radio. The Absolute Radio Network itself is growing very nicely with a reach of 4.74m, up 4.2% on the quarter and 10.3% on the year. Hours are also growing, up 6.0% on the quarter and up 4.0% on the year to 34.44m. Those are both record highs for the network! After the main service, Absolute 80s is the next biggest constituent part of the network, and it was fractionally down this quarter in reach. With 1.54m listeners it was down 1.5% on the quarter, but up 1.6% on the year. However hours are up both on the quarter (up 11.0%) and the year (up 8.8%) to 8.06m. It’s also worth having a look at Absolute Radio 90s, because – well – the nineties are becoming the new eighties. If you were 15 in 1995, you’d be 38 today and hitting that moment when you get nostalgic about the music of your adolescence. Absolute Radio 90s has just had its record reach and hours audiences. Its reach of 822,000 is up 20.2% on the quarter and up 26.3% on the year. Hours are up a massive 42.0% on the quarter and 34.4% on the year. This follows the station rejoining the D1 national multiplex back at the start of the year, having spent three years on local muxes. This rejig by Bauer would seem to be paying dividends, and I suspect that this is a station to watch. Bauer has had a good quarter with all its national brands. Kiss is up 3.3% in reach on the quarter (and down 0.6% on the year) to 4.58m reach. Hours are up 2.1% on the quarter and up 2.5% on the year to 20.89m. The Kiss Network is up 1.9% in reach on the quarter (up 4.4% on the year), and down 0.4% in hours on the quarter (up 4.8% on the year). Kisstory continues to do well, up 9.5% on the quarter (and up 21.1% on the year) to 1.94m reach. Hours are up 12.9% on the quarter and up 14.0% on the year. On the other hand Kiss Fresh sees declines across the board. Meanwhile Magic is up 10.9% on the quarter and up 11.6% on the year to 3.29m in reach. Its hours are also strong, up 8.4% on the quarter and up 18.9% on the year. The overall Magic Network is up in reach and hours – up 3.0% in reach on the quarter (up 6.8% on the year), and up 2.7% in hours on the quarter (up 3.5% on the year). All three sub-brands are also up on the quarter. Bauer has also rebranded Key 103 in Manchester to Hits Radio, at the same time creating the Hits Radio Brand which incorporates the Manchester FM station with all their other city FM stations (e.g. Clyde 1, Hallam FM, Radio City). However the rebrand only took place at the start of June, and those services as well as the Hits Radio Brand network are all 6 month reporting stations, so it’s not really worth examining closely just yet for any impact of the rebrand on RAJAR. Overall Bauer Radio is up 1.2% in reach on the quarter and 2.6% in reach on the year – with 17.71m reach in total. In terms of hours, it’s up 0.6% on the quarter and 3.4% on the year – with 151.9m hours in total. Over at Global, the overall reach for Total Global Radio (UK) is up very slightly to 23.69m – up 0.1% on the quarter, and up 1.5% on the year. Hours are down slightly to 207.5m – down 0.4% on the quarter and down 2.3% on the year. Global obviously remains the biggest commercial radio group with just over 50m more hours than Bauer. And it continues to grow through buying other stations. Only this week it bought 2BR in Lancashire. Earlier this year it has also bought Juice 107.2 in Brighton (Update: Which is to rebrand as Capital in September). At the end of last year it also bought two other stations in Lancashire – The Bay and Lakeland Radio. As for Global’s main brands, Capital Brand UK (which includes Capital Xtra) is up 1.3% in reach on the quarter, and down 3.2% on the year to a total of 8.34m. Global is keenly waiting for the day that overtakes Radio 1’s figures. Hours are down 2.9% on the quarter and 12.5% on the year to 42.34m. So as with Radio 1, this is a challenging audience to maintain listening with, as more listeners spend more time with streaming services. The slightly older Heart Brand UK fares slightly better, up 2.7% in reach on the quarter, and up 5.9% on the year to 9.76m. Hours are also up to 68.26m – up 2.6% on the quarter and up 1.8% on the year. Smooth Brand UK also performed well this quarter, up 2.3% on the quarter and up 1.1% on the year in reach, while hours are up 4.7% on the quarter, and down 5.2% on the year. Radio X is perhaps Global’s strongest performing brand in percentage, turning in another set of decent numbers across the network. Reach is up to 1.68m (up 6.3% on the quarter and up 20.7% on the year), while hours are up to 13.21m (up 8.7% on the quarter and 32.5% on the year). The station has had a set of solid upwards numbers over the last 12 months, and this would seem to be set to continue. I’ll leave others to get into the detail for London, but I’ll highlight the biggest stations. In terms of reach it’s Radio 4 with 2.46m although it’s down 10.1% this quarter (and down 14.3% this year). That leaves Radio 2 a close run second biggest station with 2.42m listeners (up 12.9% on the quarter and up 9.3% on the year). Third placed is Kiss with 2.09m reach (up 7.1% on the quarter and up 1.9% on the year). It can claim the biggest commercial radio crown. It’s just ahead of Capital in fourth place with 2.06m reach (down 3.5% on the quarter and down 10.8% on the year). The other stations with over 1m audiences in London are Radio 1 (1.49m – down 3.9% on the quarter, down 1.6% on the year), Magic (1.67m – up 21.6% on the quarter, up 7.8% on the year), Heart (1.40m – down 6.0% on the quarter, down 17.4% on the year), LBC (1.28m – up 2.0% on the quarter, down 9.3% on the year), Classic FM (1.12m – down 19.1% on the quarter, down 24.7% on the year), and Radio 5 Live (1.08m – down 3.9% on the quarter, down 6.5% on the year). In terms of hours, it’s Radio 2 (27.4m hours – up 23.4% on the quarter, up 14.3% on the year), Radio 4 (25.9m hours – down 13.0% on the quarter, down 15.3% on the year), and LBC 97.3 (13.16m hours – up 17.9% on the quarter, down 16.1% on the year). Overall radio listening in London is always something to keep an eye on, as trends in London often precede wider national trends. In fact reach in London is up very slightly this quarter to 10.74m. That’s up 1.0% on the quarter, although down 1.2% on the year. Reach in London is at 88%, just behind the national reach of 89%. In terms of hours, listening is down slightly to 204.9m hours. That’s down 0.8% on the quarter and down 1.2% on the year. That hours figure is going to be something worth keeping an eye on, as it is at its lowest since the start of 2016 – although its lowest ever figure was 198.0m at the start of 2015. Source: RAJAR/Ipsos MORI/RSMB, period ending 24 June 2018, Adults 15+. Sorry, I think your analysis of the figures for Mayo & Whiley on BBCR2 are flawed by your use of the new programme hours to compare to previous periods. I haven’t followed your blog religiously, so I don’t know what the relative listener figures were for the 7-8pm “specialist music” slot, but I’d like to bet that they were VASTLY lower than the figures for 6-7pm or 5-6pm. Therefore, the average listenership per hour over the 5-8pm period previously would be much lower than the per hour figures between 5 and 7pm. It is only to be expected that the reformatting of the Drivetime show would not have meant a fall at 7pm to the depths of the specialist shows, but it will inevitably overestimate the figures for overall listeners throughout the show. What are the relative figures if you exclude the 7-8pm hour (i.e compare like with like, as far as possible)? I, for one, haven’t listened since week two, other than very occasionally. The point with my analysis is that the show today is 3 hours long, and to compare it with previous iterations, it is correct to compare timeslot with timeslot. The new programme is three hours, and the audience size reflects that. While there may have been a falloff previously from the 6pm hour to the 7pm hour, just because a show is extended does not mean that there is an available audience. In other words, there remains a dropoff. That’s unsurprising as we are entering peaktime television with lots of popular soaps running at that time. It is always difficult to compare shows with different time periods, which is why I carefully explain my working. However I would also point out that over-analysis of this one data point is also probably futile since 50% of the figure is related to the previous iteration of the show. What I am trying to do here is present audience figures without sentiment getting in the way.